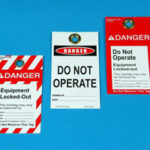 Stranco’s Blank Self-laminating Tags provide an easy way to create on-the-spot laminated tags that are virtually indestructible and unaffected by adverse environments. 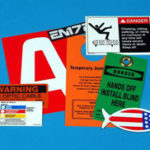 Self-laminating Tags are constructed of rugged 15 mil vinyl with a matte surface that makes it easy to write your instructions, information or warnings on the tag with a marker, pen or pencil. Your message is then protected from wear, grease, moisture, dirt, and chemicals with a clear self-laminating flap that seals in your hand-written information. Each tag has a brass eyelet. 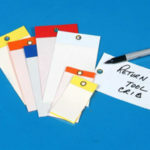 All Blank Self-laminating Tags are sold in packs of 25. LEGENDS TAG COLOR SIZE STOCK NO.